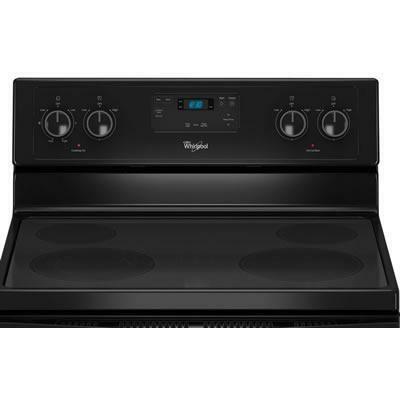 Whirlpool 4.8 cu.ft. capacity electric range with 9"/6" dual radiant element. 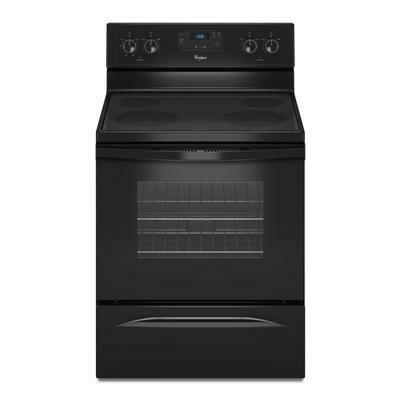 The freestanding range features Eco-Friendly Schott Ceran® cooktop, custom broil, large oven window, storage drawer and clock/timer. Additional Information Eco-Friendly Schott Ceran® Cooktop. Custom Broil: Allows you to set your preferred broiling temperature in 5-degree increments between 170° F and 500° F. High heat is best for grilling meats, while low heat is ideal for delicate tasks such as melting cheese. 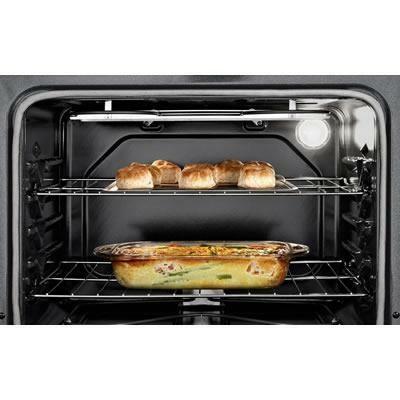 Large Oven Window: This larger window allows you to check cooking progress without opening the oven door and disturbing the temperature. Lower Storage Drawer: Provides extra space for your pots and pans. Burner/Element Size 9"/6", 6", 6", 9"